Looking Good? Feeling Great? We uncover the truth behind gym perceptions and what the public are truly thinking. Is looking good at the gym important? If you’ve not attended a gym for a while you may be unaware of the shift that has taken place in recent years. Gyms are now much more than a place to lose weight and get fit, they have become the focus of social activity for increasing numbers of people. 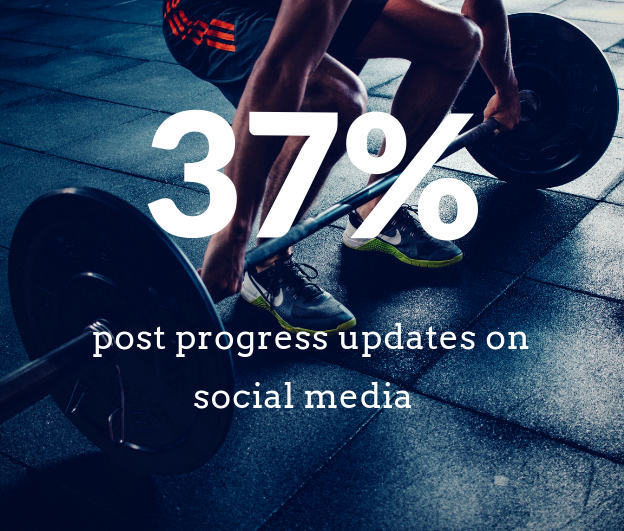 84% of gym-goers confessed to taking selfies while at the gym and over 1/3 (37%) of gym-lovers wouldn’t hesitate to share their gym progress on social media. The growth of social media, particularly Instagram, has led to Gym-goers becoming increasingly image-conscious. This has seen a rise in exclusive fitness clubs and gym clothing brands like Gymshark who have capitalised on this to make huge profits – the UK health and fitness market is estimated to reach 22.8 billion British pounds by 2020. 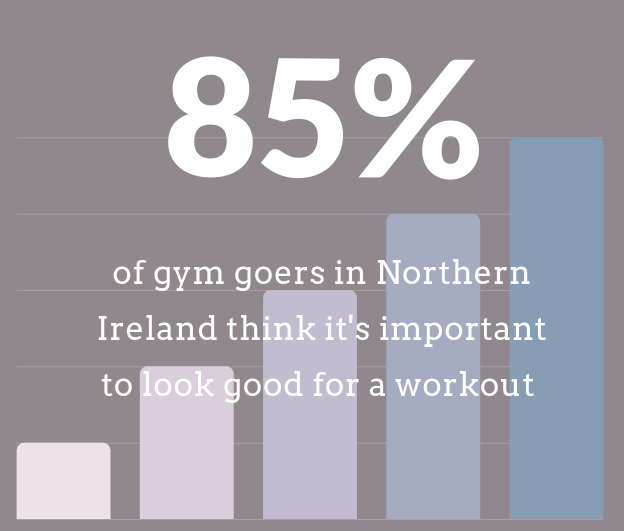 40% of respondents own specified gym gear and perceive them as ‘cool’. 34% of gym-goers admitted to always buying new gym gear. To gain a further understanding of these recent changes we surveyed the UK’s gym goers and the results were illuminating…. ‘I spend so much time in the gym that I treat it as I would any other social occasion. Right now, I'm really into pastels and pale printed leggings.’ Sarah Harradine from thatsquatbot. 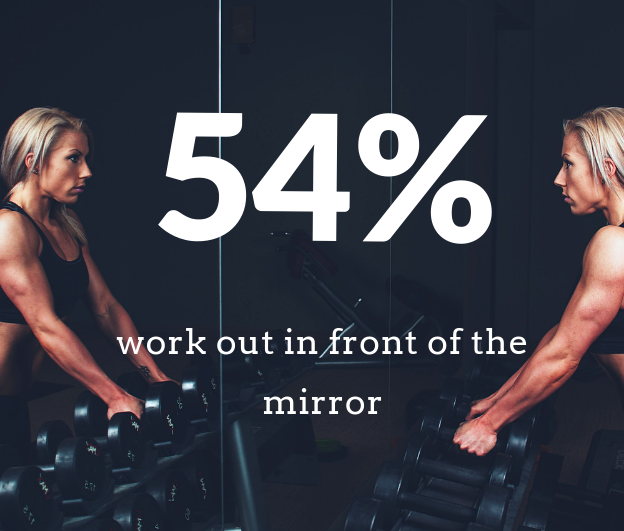 Over half of gym-goers (54%) work out in front of a mirror. 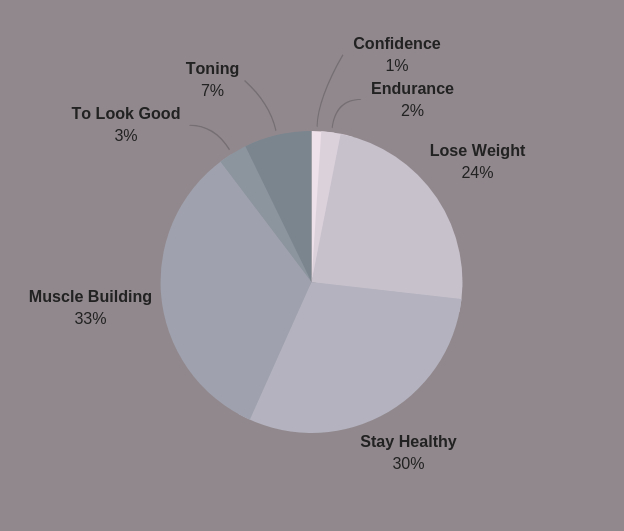 60% of over 35’s want to look their best whilst working out. It seems that the way we look is an important part of gym-life for an increasing number of people. Throughout varying age groups and regions of the UK it was not uncommon for more than half of respondents to state the importance. 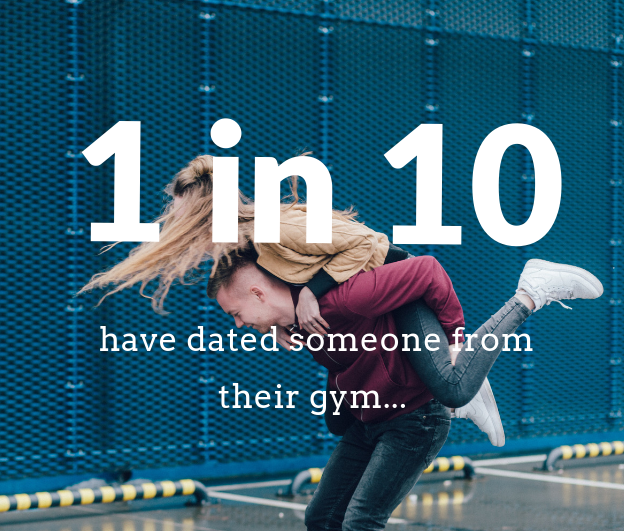 1 in 10 of the survey participants have dated someone they met at the gym. Do you train with your partner? It’s not unusual for fitness enthusiasts to join the gym to lose weight, build muscle mass and stay healthy. Older age groups tend to join the gym to maintain a healthier lifestyle, this has become their primary goal according to 67% of the over 45’s. Whereas, 30% of Millennials’ main fitness goal is to lose weight, and 40% of 18-24-year olds see increased muscle mass and improved strength as their primary objective when joining a gym. This survey was brought to you by Buytshirtsonline, an online supplier of wholesale clothing from leading brands such as Fruit of the Loom, Gildan as well as T-Shirt Printing for Gyms, Fitness clubs, Businesses and much more. Buytshirtsonline surveyed 1,770 people from the UK.